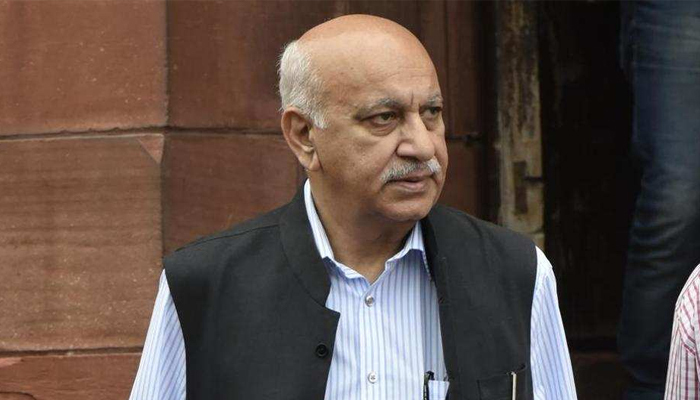 Indian Union Minister MJ Akbar has filed a defamation case against journalist Priya Ramani after she had accused him of sexually harassing her, Indian media reported on Monday. The minister had refuted all allegations of sexual misconduct levelled against him by over half a dozen women calling them ‘false and fabricated’. Responding to accusations, the minister upon returning from Africa dismissed all such reports stating that the #MeToo movement is being used to tarnish his reputation ahead of the general elections to be held next year. Congresswoman Priyanka Chaturvedi had then inadvertently asked how so many women claiming to be sexually harassed could be a political conspiracy. The BJP, which had so far refused to speak on the allegations against Akbar on one ground or the other, said he has given his version on the row. Asked if the ruling party agrees with Akbar, BJP spokesperson GVL Narasimha Rao said: “It is not about agreeing or disagreeing. He has presented his version”. On Sunday,the minister had tendered his resignation following harassment allegations.